Miam Miam first started in Bugis, which I thought was once of the most ideal spot to test our their concept - modern, European - Japanese fusion. Now with a second outlet at Westgate, Miam Miam seems to have found its way into the heartlanders. Miam Miam @ Westgate has recently launched a executive Lunch menu. 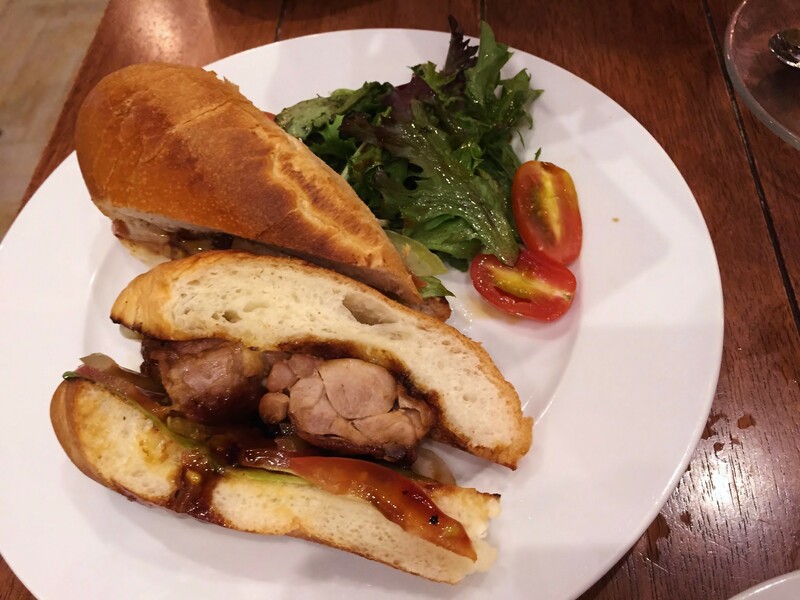 It comes with a soup, a main course ( Sandwich, Pasta or Rice), and rounding it up with a choice of coffee or tea. 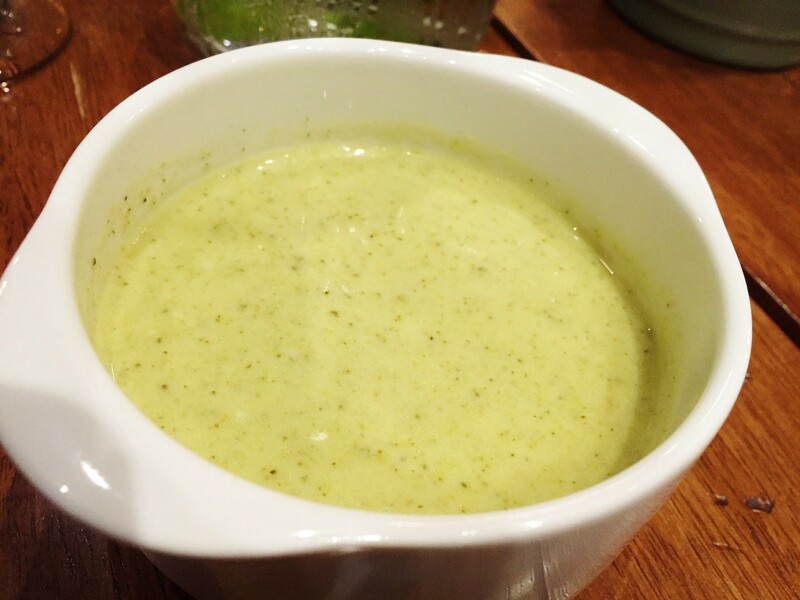 We had Cream of Broccoli to start of the evening. It is not too green, hence, it didn't taste too 'raw' to me. 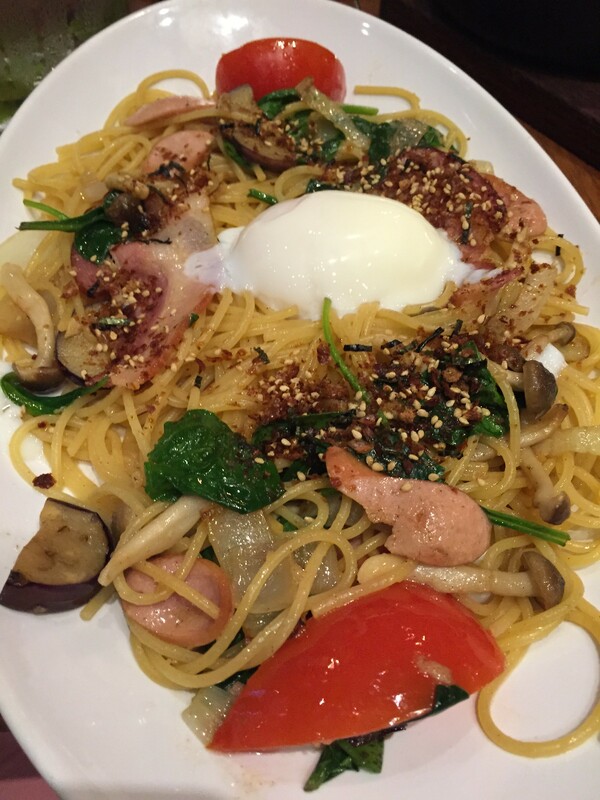 For Pasta, we were presented with Miam Miam Spaghetti ($15.80++) and Modern Yaki ($14.80 ++). You can see the Japanese influence in there. 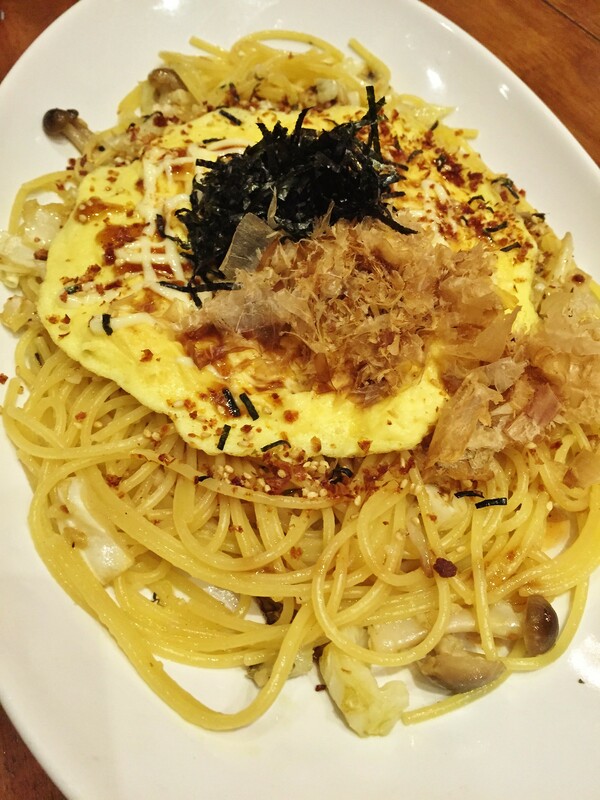 The use of seaweed, bonito flakes and shimeiji mushrooms. 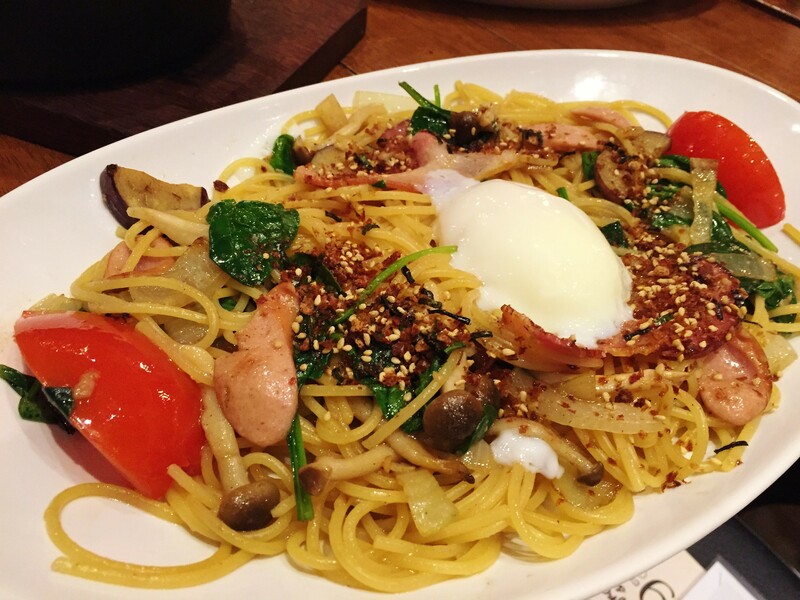 I like the use of the savoury ingredients which flavors the pasta naturally without the need to drown them in sauce. Honestly, for both pasta, the taste is there. What disappoints me is that both pasta were way under cooked. If not for that, I would have enjoyed both of them very more. For Rice, we had a choice of Riz Noir ($17.80++) and Riz Au Curry ($14.80++). Again for these 2 dishes, the Japanese elements remains strong. 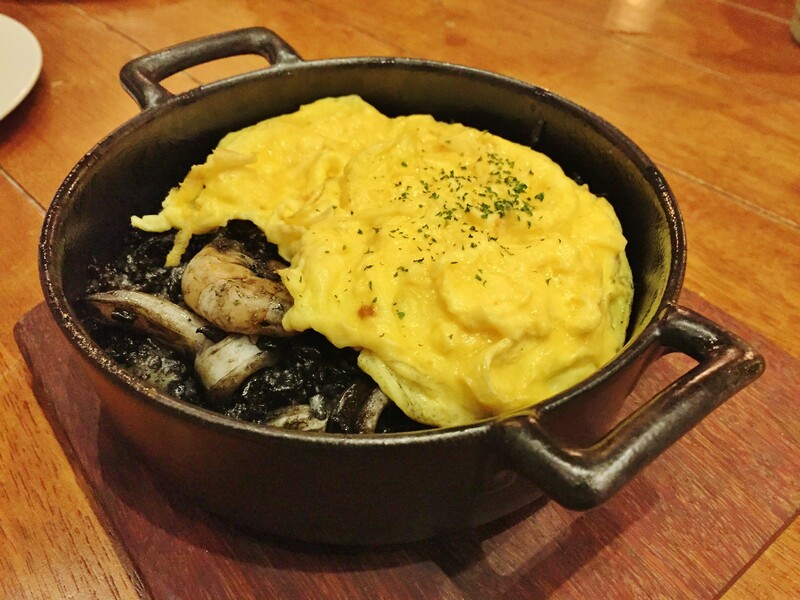 I enjoyed the squid ink rice which remains firm to bite and the sweet milky tamago on top, which complements the savoury rice and seafood. 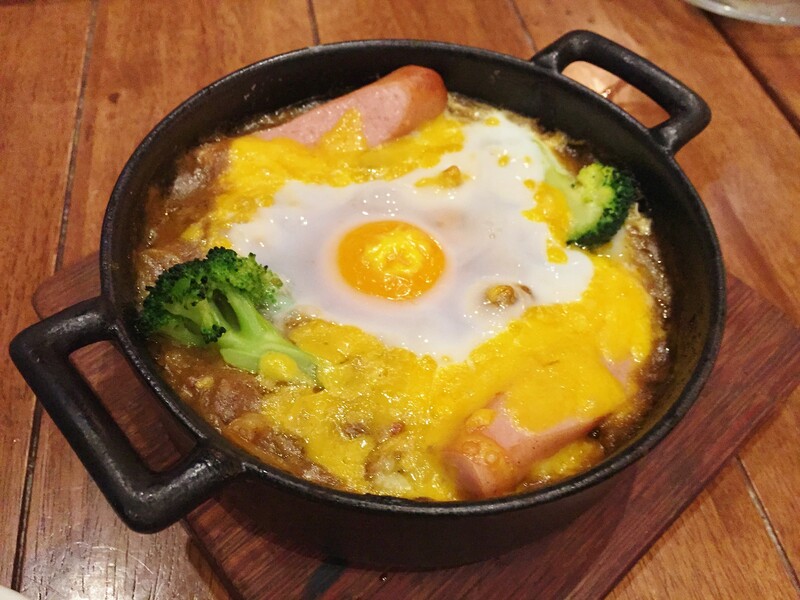 The Riz Au Curry is a crowd pleaser with favourite ingredients such as pork frankfurters, broccoli, cheese and egg, combined and baked in homemade Japanese curry. Available also are sandwich offerings such as Teriyaki Chicken ($15.80++) or BLT ($11.80++). I would suggest giving these a miss and opt for either their Pasta or Rice. I mean why sandwiches, when you can try their signature dishes? 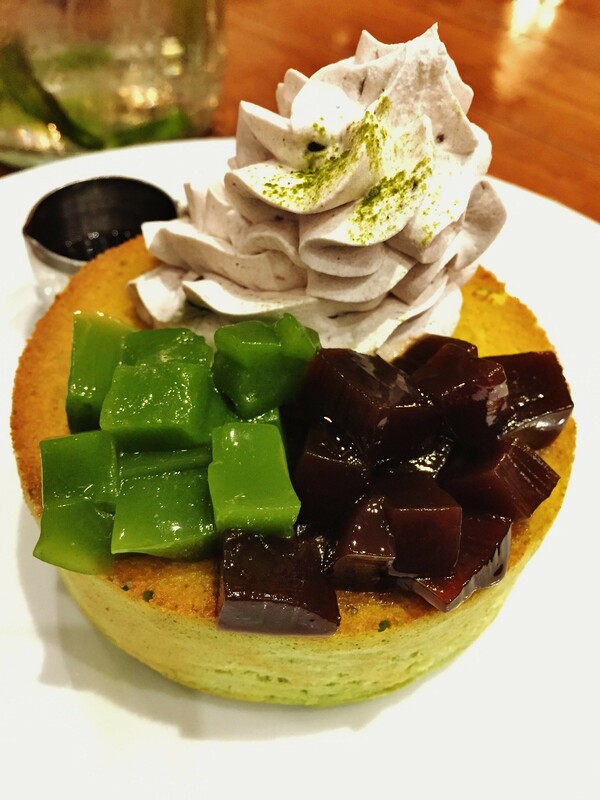 Ordering 2 executive Lunch sets will get you and your partner a complimentary Matcha Red Bean Cream Pancake ($12.80 ++). Due to its thickness, the pancake can be a bit dry but the cream gels it well with the melt-in-your-mouth jelly. When I bite into coffee flavoured jelly. Explosive is the word! This really give you the best bang for your buck. Depending on which dish you choose, at $17.90++ per pax, and together with the complimentary dessert can be quite value for your money. Hence, if you happen to be working around here or have some time to spare for a nice lunch, give it a try.